Thirunedungalam is rich in inscriptions, nearly 50 inscriptions belonging to various dynasties viz., Pallavas, Pandyas, Cholas, Vijayanagar, Hoysalas, Nayaks and other minor rulers are found throughout in the temple complex. Among the fifty inscriptions thirty four were copied by the Directorate of Epigraphy, Mysore during 1908-1909 and the texts were published in South Indian Inscriptions Volumes III, XIII, XIX, XXVI.1 Sixteen inscriptions were copied by Dr. M. Rasamanikkanar Centre for Historical Research, Thiruchirappalli and published in Varalaru Issues 4, 8 and 11.2 Among the fifty inscriptions nearly twenty eight belong to Cholas, one to Pallavas, seven to Pandyas, one to Hoysalas, six to Vijayanagar, one to Nayaks, the rest of the inscriptions are without king name. Almost all the inscriptions speak about endowment to the temple which reveals the patronization extended not only by the royals, well-offs, but also common people. Endowments were made in the form of gold, money, land, produce, animals for burning lamp, worship, offering, festivals, constructions, repairs, and other maintenance. These inscriptions not only help us to understand the history of the temple but also socio-political condition of the region during various periods. Among the fifty copied inscriptions the earliest inscription of the temple complex is the Sripurakkudipalli inscription. This inscription is found engraved on a stone slab carries no king name but with weapons and lamps in the header. On paleography ground it is dated as early part of CE. 8th century. (tuyhW 8: 1) 3 The other early inscriptions of the temple belonging to Pallavas, Pandyas and Cholas (CE. 8th to 10th centuries) once found scattered in the thiruchchurru floor, roof and pathway in the inner prakara were collected and kept in the western thiruchchurru malika. But only very few of these inscriptions are available at present. Inscriptions of Vijayanagar are found on the adhishthana of the vimana of central shrine and the inscriptions of Later Cholas and Second Empire Pandyas, Vijayanagar, Hoysalas are found on the adhishthana and walls of the maha mandapa of central shrine. The Ganesa shrine located in the south west corner of the inner prakara is fully occupied with Chola inscriptions specifically of Uttama Chola, Rajaraja Chola I and Rajendra Chola I. The Chandeswara Shrine found on the northern side of the inner prakara carries inscriptions of CE. 13th century viz., Rajaraja Chola III and Jatavarma Sundarapandya I. Inscriptions of Parantaka I, Uttamachola and Kulothunga I are also found in the Somaskanda Shrine but the former two are in fragments. Inscriptions of CE.15th century are found on the wall to the north of the gopura. The placement of the inscriptions also relatively helps us to understand the growth of the temple complex in the passage of time. Inscriptions also bring to limelight new additions like shrines, mandapas, pillars in the Nedungalam temple in the passage of time. Endowments were made not only for worship, festivals and offerings but also for new constructions and repairs in the temple. Contribution depends upon their status it can be a shrine or mandapa or even a pillar. Besides, an inscription also exposes the stone mason of the temple. Two of the inscriptions speak about construction of mandapa in the temple. An inscription of Kulothunga Chola I (tuyhW II: m) found on the lintel in front of the Somaskanta shrine speaks about the construction of the mandapa in front of the same shrine by certain Adittan Ulagan alias Vijayalaya Muttaraiyan son of an Araiyar of Kallikkudi in Kiliyur nadu. An inscription (743)4 of CE.15th century speaks about construction of the Nayakkar Arangu Mandapa (at present known as Ranga mandapa) by Muluthukkudi Udaiyan Arasan alias Vallaladeva. Four pillars on the western side of the thiruchchurru carry names viz., Madanthaipagan Gurukularayan of Mattur, Vasidevan Kaalingarayan of Keeranur, Suruthiman Ananja Aanavidapadi of Noonankuruchi and Senkanivayan. (tuyhW II:M). It signifies that the pillars were endowed by the respective persons. Two of the inscriptions speak about installation of deity in the temple. An inscription of Rajaraja III (730) speaks about the installation of a Linga called Ulaganadisvaram Udaiyar in the first prakara by certain Aludaiyapillaiyaradiyan Idarkalaivan alias Anapayamuttaraiyan in merit of his father Vilambakkudiyan Thillai Thirunattapperumal alias Visaiyalaya Muttaraiyar of Vilambakkudi. The same inscription also gives us interesting information that the donor installed the deity after getting permission from Periyadevar Thribhuvana Viradeva (Kulottunga Chola III). And the permission was acquired by him while the king camped at Urattur. The donor not only made installation but also gifted land for worship to the newly installed deity. A 6th regnal year inscription of a Rajakesari (733) while detailing about land endowment for festival and procession to god Lokasundara also informs us that the deity was installed by certain Orriyuran Kuttanpiran. An inscription of Virarayana Udaiyar (727) speak about one Thamibikkunallar a stone mason, son of certain Sonnavannanseyvar who carried out constructions and repairs to the Thirunedungalam temple at several times. To his merit the king endowed land and house. Apart from these four of the later period inscriptions speak about endowment of land, village, paddy meant for repairs and maintenance in the temple. Viruppanna Udaiyar inscription (716) found on the central shrine speaks about endowment of land for worship, festivals and also for repairs to the God (name lost) setup in the thiruchchurru in the temple by certain Saykkudaiyan Nachchinarkiniyar Nayakar. Immadi Thimmayadeva Inscriptions (715) found on the central shrine speak about gift of a village to Nedungalam temple not only for worship but also maintenance. Vira Ramanathadeva inscription (720) found on the mandapa of central shrine speak about gift of paddy for worship, repairs and construction in the temple by certain Udaiyan Kurramarinjan Vanigai Purandar of Ariyalur. An inscription of CE.16th century (744) details about the gift of land for offering, worship, festivals and also repairs by certain Pagamadattich chamantan of Valambakkudi. The inscriptions mention the deity in various names. The deity is popularly called as Thirunedungala Udaiya Nayanar. Apart from this the God is also mentioned as Mahadevar of Thirunedungalam, Sri Kayilayattu Mahadevar, Thirunedungala Alvar, Thirunedungalattu Bhattarar, Thirunedugalam Udaiya Thambiran, Nayanar, Udaiyar. Inscriptions didnt mention the name Nithyasundarareswar. Inscriptions of Thirunedungalam help us to understand administrative establishment not only of the temple but also the locality. It helps us to understand the endowments and other sources of income to the temple, management of endowments, land dealings, some of the activities of village and central administrative establishments, revenue divisions, officials, individuals and so on. The eighth regnal year inscription of Rajaraja I (734) introduces Thirunedungalam as a Devadana of Nedungalam Udaiyar and the status continued till CE.12th century. Three of the Later Chola inscriptions (Kulottunga III and Rajaraja III) (721, 729, 730) reveals the changeover in the name and status of the village i.e., Thirunedungalam as Thiyagavallai Chathuvedimangalam a Brahmadeya in Vadakavira nadu in Pandikulasani valanadu. While the Later Chola inscriptions picture name change effected due to change in status whereas Vijayanagar inscriptions (715, 724) shows two more additional names to Thirunedungalam as Nilalarsolaivanam and Dakshinakailayam. One of the inscription (730) while mentioning the sale of land in Thiyagavalli chathurvedimangalam it referred the transaction as kudineenga devadana which denotes the existence of devadana status to some of the lands in the village. However, after the decline of the Cholas the status of Brahamadeya or Devadana continued or not is not known as none of the later period inscriptions (Second Empire Pandyas or Vijayanagar period or Hoysalas) use these terms. An Early Chola inscription (N1, Aditya I) mention a phrase Veerathongapurattu Mahadevar. The inscription speaks about endowment of some vessels and musical instrument to the temple. If the endowment is meant to the God of Nedungalanathar then Veerathongapuram can be taken as another name of Thirunedungalam. Among the Later Chola inscriptions (Kulottunga III and Rajaraja III) (721, 723, 725, 726, 729, 730, V 11:1) two of the inscriptions7 (723, 726) refer Thirunedungalam as under the division of Vadakavi nadu in Pandikulasani valanadu. The reason for terming the division as Vadakavi instead of Vadakavira nadu even in Later Chola period is unable to understand. But the succeeding Pandya inscriptions mention the division as Vadakavi nadu. Not only the change is effected in the Nadu division but also in the valanadu i.e. Pandikulasani is converted as Pandikulapathi. (718, 719, 722, 728, 731) However, Pandikulasani again emerged under the Vijayanagar but the Vadakavi nadu term remained the same. Apart from Kavira nadu and Vadakavira nadu the Chola inscriptions also bring to lime light the other nadu divisions viz., Vadapuraiyur nadu, Miysengilinadu, Kiliyurnadu, Eyinadu, Vilanadu, Malainadu. Among these Vadakavira nadu, Kiliyur nadu and Eyinadu come under the administrative division of Pandikulasani valanadu (718, 723, N6). The inscriptions picture the continuation of these three nadus under the same valanadu even during Vijayanagar period. Malainadu denotes Kerala. As like, the nadu and valanadu divisions gleamed through the Pandya inscriptions are Thevur nadu, Kiliyur nadu, Vadakavi nadu, Miysengilinadu. Pandikulapathi valanadu, Thenkarai Jayasingakulakala valanadu, Rajendrasola valanadu are the valanadu divisions that we come across. One of the interesting fact is that the valanadu (Rajendrasola) established under the Cholas were retained by the Pandyas. The Vadakavi nadu and Kiliyur nadu remained under Pandikulapathi valanadu. Miysengili nadu come under the Thenkarai Jayasingakulakala valanadu. The Later Pandya inscriptions along with nadu and valanadu divisions also referred kurram and mandalam divisions. Kurram is equivalent to Nadu. Mutturukkuram (719), Arvalakkurram (731) are referred while the former under Pandimandalam and the latter under Rajendrasolavalanadu. As like, Vadakavi or Vadakavira nadu the Kiliyur nadu also continuously gleamed through inscriptions starting form Chola period till Vijayanagar period. Kiliyur Nadu that existed under Pandikulasani valanadu under the Cholas (tuyhW II:1, 726 ) when the valanadu suffered a name change during Pandya period referred under Pandikulapathi valanadu (718, 726) and again during Vijayangar period referred under Pandikulasani valanadu. Inscriptions also gleam other devadana and brahmadeya villages. Thirunarayana Chaturvedimangalam a brahmadeya under Miysengilinadu is known through the Uttama chola inscription (741). One of the Rajaraja chola I inscription reveal Thiruvanaikkaval, a devadana and a Brahmadeya in Vilanadu (738). Apart from Thirunedungalam, Melaikkuruchi was also a devadana village of Nedungalam Udaiyar (tuyhW 8:4). Apart from Thirunedungalam, inscriptions also bring to limelight other villages. Sripurakkudipalli, Periyandaikudi, Kuzhithandalai, Vilambakkudi, Urrattur, Kodungolur, Palvayarrur, Suralur, Idaikkudi, Puttamur, Panaiyur, Valambakkudi, Vikkiramabarananallur, Puttarambur, Mangalal, Thiruvanaikkaval are the villages known through Chola inscriptions. Melaikkuruchi, Yenattankudi, Manganal, Osamavanavan Madevinallur, Kiliyur, Mankanam (a) Nittamanavallanallur Thiyaneri, Vadapurakkudi, Panaikkudi, Puttambur, are the villages known through Pandya inscriptions. Kadayakkudi, Vadapuraiyur, Kallikkudi and Adainjiyur are the villages known through Vijayanagar inscriptions. Ariyalur, Valambikkudi are the villages known through the Nayak inscriptions. Sripurakkudipalli (tuyhW8:1, tuyhW8:10) was a Jain settlement, a neighbourhood of Thirunedungalam. The other neighbouring villages of Thirunedungalam are Vikkiramabarananallur, Puttarambur, Mangalal gleamed through an inscription while defining the bourndaries of an endowed village (721). It is quite natural that these villages (Sripurakkudipalli, Thirunedungalam, Vikkiramabarananallur, Puttarambur, Mangalal) come under the division of Vadakavira nadu. Mangalal (721, tuyhW8:5) still exist in the same name. Mangalal in Vakavira nadu came to be known as Manavalanallur during Kulottunga III period, it again suffered a name change and came to be known as Mankanam (alias) Nittamanavalanallur during the reign of Pandyas (719, 731). 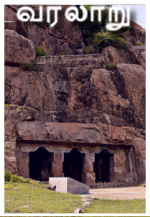 Valambakkudi in Vadakavira nadu is frequently referred in the later period inscriptions. This village first gleamed in Kulottunga Chola IIIs inscription (725) continued till Nayak period (746). Kiliyur (718), Vadapurakkudi (715), Kallikkudi (716, tuyhW2:1), Panaikkudi (726) were under Kiliyurnadu. Kallikkudi, Puttambur, Adainjiyur were the villages under Eyinadu. The inscriptions of Nedungalam help us to understand the development of well organized administrative system in the medieval period. The foundation that had been laid by the Pallavas were developed and strengthened by the Cholas which continued till the Vijayanagar period. The decline of imperial dynasties led to the disintegration of the empires and ultimately paved way for the numerous petty kingdoms. 1. SII Vol. XIII No. 42, 182. SII Vol. III No. 140. SII Vol. XIII 335. SII Vol. XIX No. 321, 368. Consolidated publication is made in SII Vol. XXVI No. 715-748. 2. I thank Dr. R. Kalaikkovan, Director, Dr. M. Rasamanikkanar Centre for Historical Research for providing SII Vol. XXVI. My heartfelt thanks to Dr. M. Nalini for providing the digital copy of the inscriptions. 3. tuyhW 8/ Ma;tpjH;/ lhf;lh; kh. ,uhrkhzpf;fdhh; tuyhw;wha;t[ ikak;/ jpUr;rpuhg;gs;sp 17. Citations are followed in abbreviated form for convenience with respective issue and corresponding inscription number. 4. SII Volume. XXVI. Citations are followed in abbreviated form only quoting the corresponding inscription number. 6. Subrahmanian N., History of Tamilnad to A.D. 1565, Koodal Publishers, Madurai. P.177. 7. These two inscriptions authored as Kulottunga III in SII XXVI. 8.	espdp K./ fiyf;nfhtd; ,uh./ nfhapy;fis nehf;fp....../ lhf;lh; kh. ,uhrkhzpf;fdhh; tuyhw;wha;t[ ikak;/ jpUr;rpuhg;gs;sp 17. 2006. g.130. Inscriptions relating to people mobilizing from Kodungolur in Malainadu and settling in Tamil region are widely available.